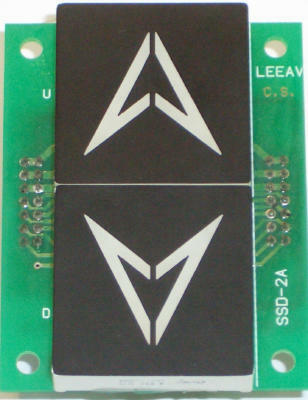 The SSD-2A is a Modular Serial 2 color Direction Arrows. The Arrows are connected via flat cable to the SSD digital display card. There is an option to use Direct connection with 3 wires . The Arrows / lanterns are programmable via Leeav’s TST Portable Programmer.